Twila J. (Dunmire) Anthony, 80, of Ford City, died Tuesday, October 9, 2018, in her home. Born September 1, 1938, in Iselin, PA, she was a daughter of the late Walter and Laura (Hartman) Dunmire. Twila was a member of the Grace Lutheran Church, Manorville. She was belonged to the Ford City Eagles Auxiliary, the Slovak Catholic Union, and the Jednota. 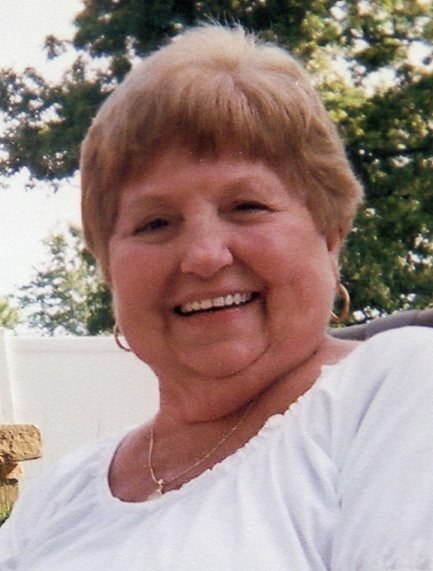 She was a licensed practical nurse, and retired from Armstrong County Memorial Hospital after 47 years of service. She is survived by her four daughters, Vicki (David) Schaub of Ford City, Deborah (Rob) Fennell of Ford City, Lisa Sobkiewicz of Ford City, and Karen (Gary) McCullough of Ford City; her grandchildren, Jeffrey Pauline, Cristin Cicco, Eric Pauline, Sara Oliver, Andrew Rupert, Justin Rupert, Caitlin Mudd, Valerie Hanford, and Nathan Cousins; 15 great-grandchildren; two brothers, James Dunmire of New Brunswick, NJ, and Richard Hancock of Ford City; and her dear companion, Howard Hopper of Ford City. In addition to her parents, she was preceded in death by her husband, William J. Anthony in 1993; a great grandson; brothers, Harry and John Dunmire; and sisters, Lois Sirochman, Phyllis Croyle, and Margie Sober. Friends will be welcomed from 7-9 p.m., Thursday, and 2-4 and 7-9 p.m., Friday, in the Welch Funeral Home, 1032 Fourth Ave., Ford City. Funeral service will be held at 11 a.m., Saturday, in the funeral home, with Rev. Jack Delk officiating. Interment will follow in Ford City Cemetery. In lieu of flowers, memorial contributions may be made to Grace Lutheran Church, Manorville.